Thu., Nov. 1, 2018, 9:54 a.m.
More than 40 percent of the U.S. population is estimated to have a vitamin D deficiency, especially in regions with less year-round sun exposure. The vitamin, which is vital for the body’s absorption of calcium, is available over-the-counter, with dosages typically from 600 international units to 2,000 IU. For people with a severe vitamin D deficiency confirmed in blood tests, some health care providers are prescribing a mega-dose: 50,000 IU vitamin D taken once a week for six to eight weeks. After the temporary regimen, patients return to store-bought options. But does that high dose, even short-term, have any health concerns? Medical groups say it’s typically safe, under physician supervision, to get levels back to normal. “If vitamin D levels are fairly low, that’s a pretty typical regimen we are seeing more and more, because there is more awareness about low vitamin D levels,” said Skye McKennon, an adjunct pharmacy professor in Spokane. McKennon will teach at Washington State University Spokane this spring on preventative health. She said low vitamin D levels in the body are associated with osteoporosis, increased risk for falls and fractures, depression, impaired immune function, multiple sclerosis and some cancers. 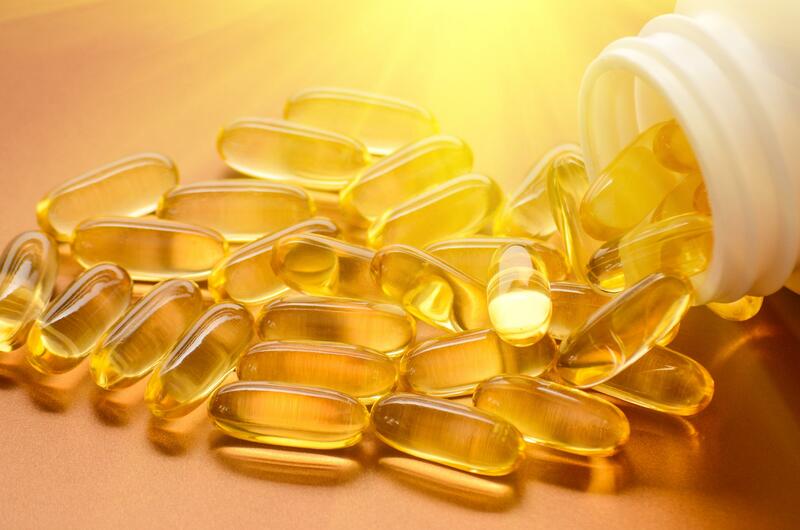 Dr. Gretchen LaSalle, a Spokane MultiCare family physician, agrees that vitamin D deficiency has received more attention in the past 10 years, including how it affects health. But research on the nutrient has gone back and forth, she added. “If you have a significant deficiency, the recommended approach currently is to use 50,000 IU of vitamin D once a week for six to eight weeks, then re-measure levels, to try to boost those values back up a little more quickly,” LaSalle said. McKennon said few foods naturally contain vitamin D, mainly from fatty fish such as salmon and tuna. Small amounts are found in beef liver, cheese and egg yolks, while some grocery items are fortified with it, such as milk, orange juice and cereals. Both vitamin D through diet and skin are converted in the body to biologically active forms by the liver and kidney. Harvard Medical School articles describe that under ideal circumstances, 10 to 15 minutes of sun on the arms and legs a few times a week can generate nearly all the vitamin D people need. But that’s impacted by season, latitude, age and use of sunscreen. People at higher risk of low vitamin D levels include older adults, individuals with darker skin and those living at northern latitudes such as Spokane, McKennon said. Other reasons might include when people eat less or have decreased absorption for medical reasons or aging. For healthy adults, a common recommendation is to take a vitamin D supplement from 600 IU to 1,000 IU. Kids need about 400 units a day, and babies who are breastfed need supplement drops, LaSalle said. After a short-term, mega-dose supplement, patients often report improved energy and moods. Vitamin D deficiency is measured through blood testing when levels go below 20 nanograms per milliliter of blood, LaSalle said. Problems can occur if people take too much for too long, perhaps piling on higher over-the-counter 5,000 IU dose over time. Risks include developing kidney stones, confusion, vomiting, muscle weakness and increased calcification in the body, McKennon added. She said with other types of vitamins that aren’t fat-soluble, such as vitamin C, people “just urinate it out” if there’s excess. “Vitamin D is not like that. If you take too much and don’t actually need it, you can over time become toxic on it. I’d certainly recommend taking it in conjunction with your health care provider. Some people, I think, buy just over-the-counter and try to take a lot of it to get closer to the 50,000 IU dose, but that’s not recommended. LaSalle offers similar cautions to work with a provider. “In my cupboard, I have 5,000-unit capsules from Costco,” she said. “I think there is even 10,000-unit ones out there. It’s available without a prescription, but people need to know that like with any other supplement form, it’s not always a benign or risk-free thing. Published: Nov. 1, 2018, 9:54 a.m.